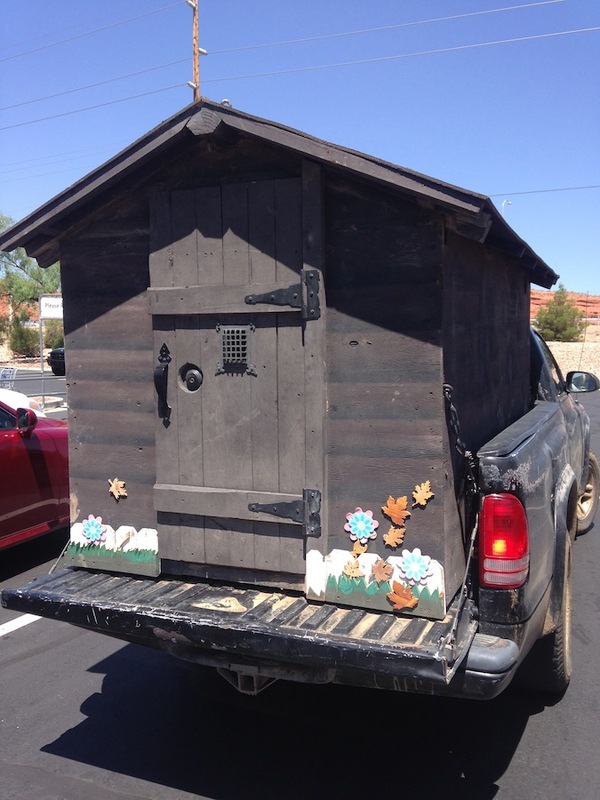 When I was shopping at the local thrift store back in July, I saw this pickup playhouse that looked awesome. It’s obvious that this little house was made for a different truck with a longer bed. 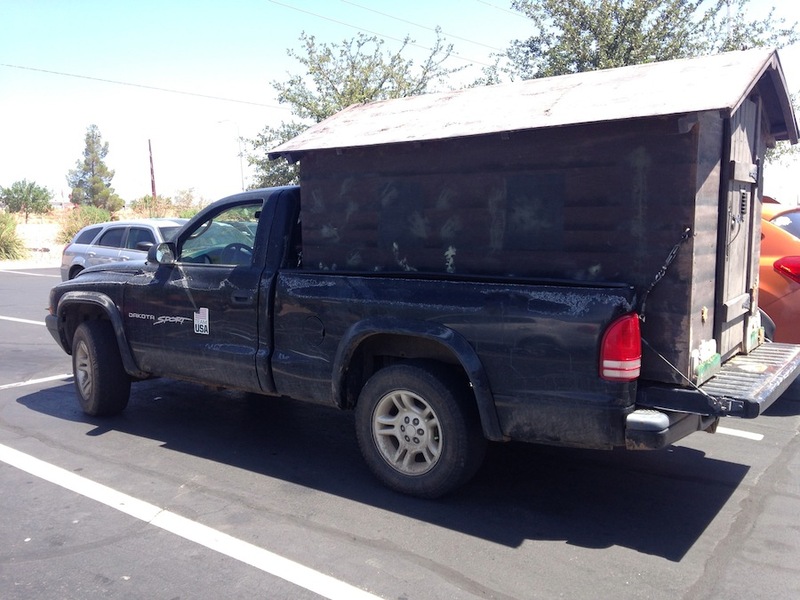 They loved it so much that they kept it with the new truck and left the tailgate down. If you look carefully, you can see a vent on the side, so it must get pretty hot in there, especially since it’s painted black. Good in the winter to keep warm, though. 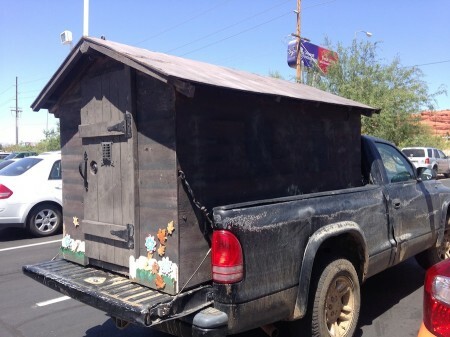 I wonder what they use this playhouse for. I’ve seen the truck several times in town, so they don’t take it off and put it back on for camping. It’s permanent. I like to imagine that they go camping so often that they don’t feel the need to take it off. Whenever I see campers for thousands and thousands of dollars, I remember little campers like this one. It probably cost less than one thousand dollars to build in full and it has lasted at least two pickups. Next time you think you can’t afford a camper of your own, remember this little pickup playhouse and know that a good camper is within your reach.